I went to go see Dragon Ball Super: Broly when it first hit theaters in the US this past Wednesday, and it’s one of the best Dragon Ball films, if not THE best. But while I was riding the hype train throughout, I failed to pick up on a few things that, thankfully, TeamFourStar did and pointed out in their spoiler discussion of the film. To summarize it though: Super Saiyan 4 is potentially back on the table. The Super Saiyan 4 transformations from Dragon Ball GT was explained like this: In order to achieve the form, a Saiyan must turn into a Great Ape and regain consciousness in that form, turning back into their Saiyan form, but retaining the raw power of the Great Ape as evidenced by their wilder hair and fur covering their bodies. In Dragon Ball Super: Broly, Broly has 4 forms throughout the film. His base form, his primal state, Super Saiyan, and Full Power Super Saiyan(formerly Legendary Super Saiyan). The second state is what draws the conclusion that Super Saiyan 4 could potentially become canon just as both Broly and Gogeta have now become. In the film, Paragus explains Broly’s sudden explosion of power as retaining the raw power of a Great Ape, but in his Saiyan form due to Broly assuming Great ape form multiple times over the year until Paragus permanently removed his tail. However, what prevents this from being Super Saiyan 4 is that while Broly’s hair gets wilder and his eyes turn the same golden color as Super Saiyan 4, he does not grow fur on his body nor does he get red marks around his eyes. At the same time, Broly also effectively goes on auto pilot in this form, unaware of anything that isn’t the enemy in front of him. He is not conscious in this form, and that is the main prerequisite for transforming into a Super Saiyan 4. Part of the crux of this film was Goku believing he had peaked in terms of power and that he couldn’t get any stronger. Broly raised the ceiling significantly, but he is unable to control that power. Attaining the true Super Saiyan 4 form could be the key to mastering his immense power, and it could be the way forward for Goku and Vegeta(Though everyone involved would somehow have to regain their tails.). 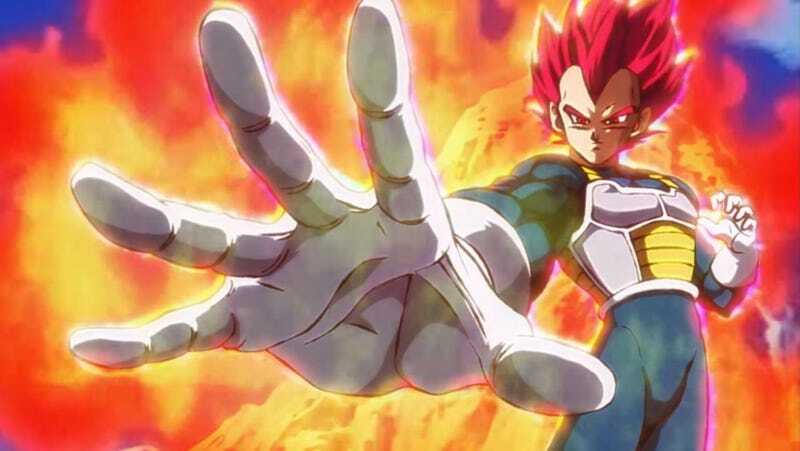 Since GT is non-canon, and Gogeta is a lot stronger than he was previously, it stands to reason that Super Saiyan 4, likewise, would be a lot more powerful if it enters canon than it was previously. Since Ultra Instinct isn’t something Goku can use at will, and likely won’t be for a very long time, he’ll have to achieve some other form to grow even stronger to face whomever his next opponent ends up being. Whether that’s a Super Saiyan Blue 2 or Super Saiyan 4 is something we’ll have to find out when Super inevitably returns.